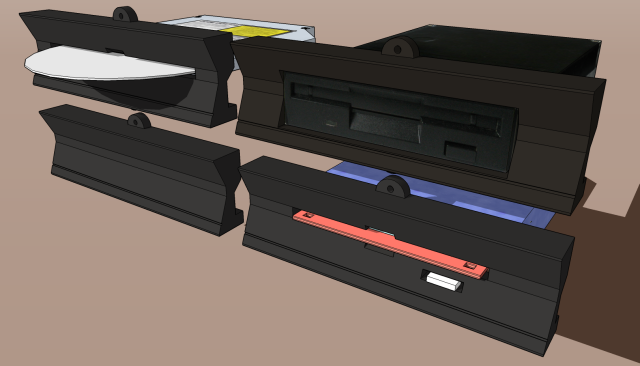 Basic Version with Micro ATX / Mini ITX Horizontal slots, again you will be asked which version back panel you want. A screw pack will be included with all fixings. After the campaign success you will be asked to confirm which rear panel you want regardless of version. You will be able to purchase extra rear panels. You may be able to change colour unless packaged and ready to ship. However, if going from black to white, it will depend on stock as white is expected to be a limited run, but we will see. The physical dimensions of the case are Width 431mm x Height 104mm x Depth 385mm. 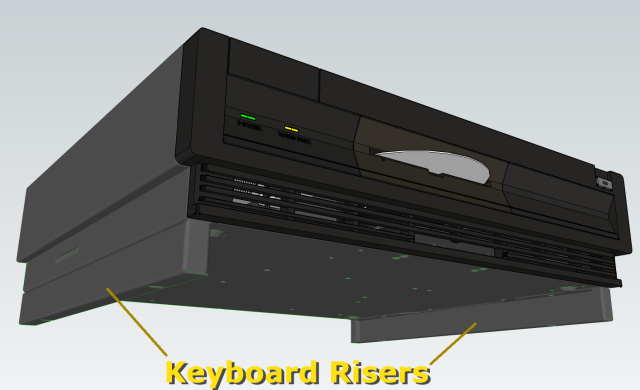 Note the keyboard riser adds 40mm to the height. A screw pack will be included with all fixings. Important, please note that the injection moulded plastic parts will be UV resistant materials and as such will not yellow with age !! When ordering you will get one of these, however extras can be ordered for £29 each. 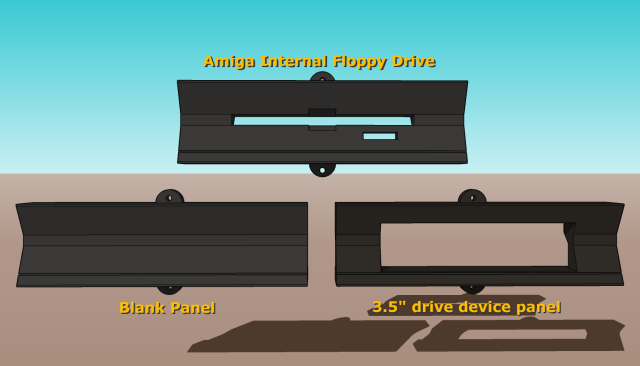 These are the standard available options when the campaign completes, the second picture gives an example of another version planned for a stretch goal. Each pack will come with with two specific panels but extras can be ordered at £5 each. These will match the colour of the case you have ordered. 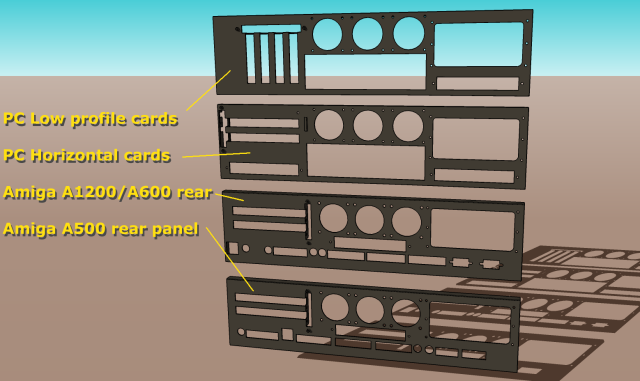 Please note that others may appear over time and the designs are available to allow modification and 3D printing of you own panel covers and support. 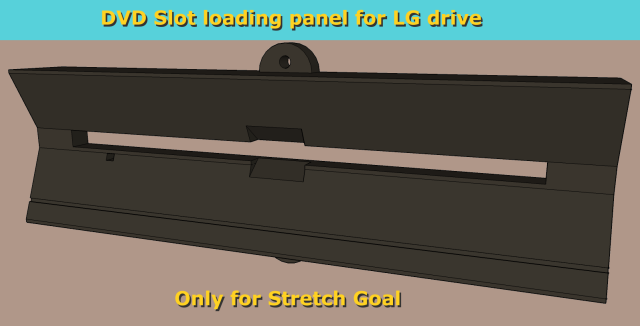 If the stretch goal option is met then these panels that suit the LG GS40N Slot load internal drive will have an injection mould made to enable purchase for £5 each. If not then they will be available on our Shapeways page for around £35 as a 3D print or download design and print yourself. These risers match the colour of the case and are priced at £15 per pair. The Oyster white actual colour was chosen by public poll.